24-hour forecast: Sunny with cloudy spells today and partly cloudy tonight. Showers or thunderstorms will be isolated, except for slightly more over the south tonight. General Outlook: Similar weather conditions on Sunday and Sunday night. Today E-NE 5-15 kts Choppy 3-4 ft A FEW SHOWERS AND ISOLATED THUNDERSTORMS, MAINLY SOUTH, DECREASING. 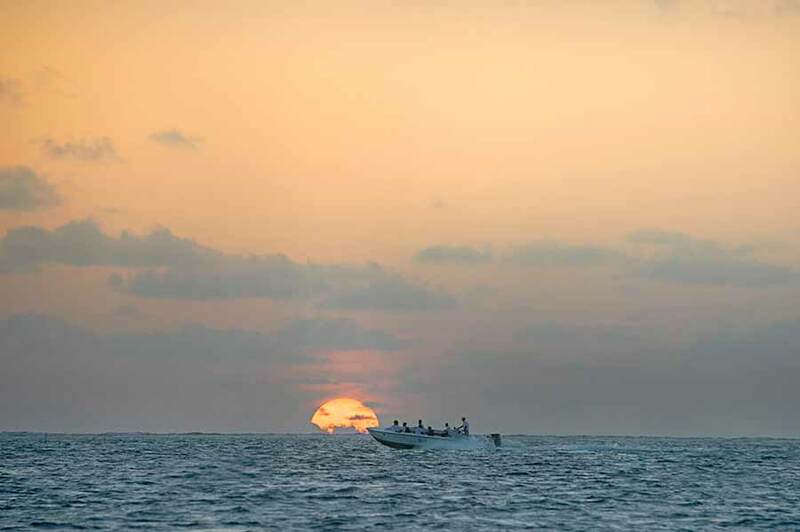 Tonight E-NE 5-15 kts Choppy 3 ft A FEW SHOWERS AND ISOLATED THUNDERSTORMS MAINLY SOUTH. Tomorrow E-SE 10-20 kts Choppy 3 ft A FEW SHOWERS AND ISOLATED THUNDERSTORMS, MAINLY SOUTH, DECREASING. Outlook E 10-20 kts Choppy 3-5 ft SUN NIGHT: A FEW SHOWERS AND ISOLATED THUNDERSTORMS, MAINLY SOUTH. On Ambergris Caye this morning the sea is calm and sky clear with a breeze from the E-NE at 10 mph. 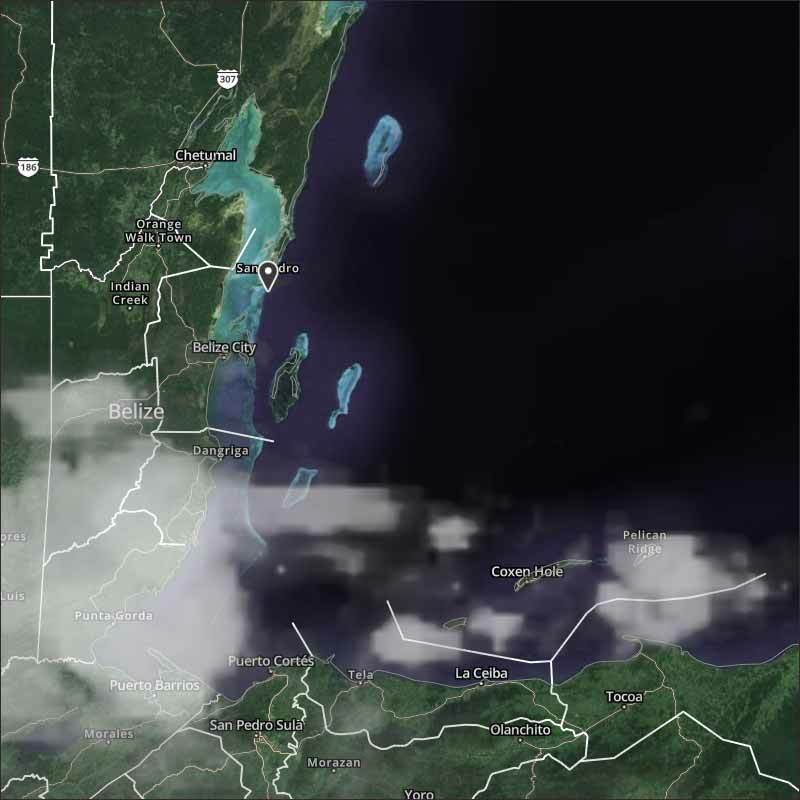 Our expected high is 88 f.
There were several swell-ups over Honduras that spread up over the Caribbean and then into and across Toledo, causing significant rain. There is still a lot of rain in Toledo and more coming in over the next few hours, with a few isolated showers up into parts of central Belize. The north part of Belize is subject to NE air coming in from Cuba. There are a few patches of high level cloud coming over, from the NW. Looks like central and northern Belize will be mainly sunny, with clouds developing later, heavy rain patches continuing in southern Belize for several hours. The 9 am Cloud picture. 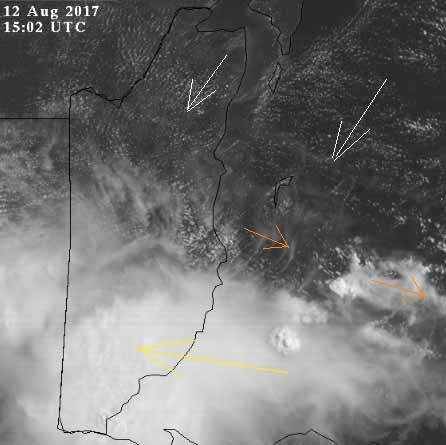 Showing the swell-ups still occurring over southern Belize causing rain, which is still moving in from the E by S The NE Caribbean winds coming down from Cuba are very clearly seen.